Thank you to all that attended the hearings and/or submitted written comments on the bills. You did an amazing job explaining the impact these damaging pieces of legislation would have on your operations. We expect to see some of these bills scheduled for work sessions, so stay tuned for updates. Tiffany Harper Monroe testifying on pesticide bills. 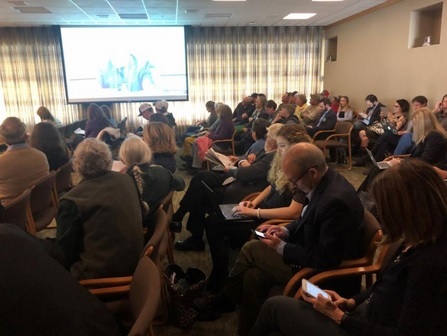 SB 926 – ban aerial applications on state owned lands– This legislation would have a significant financial impact to lands managed for forest production and prohibit important invasive species control activities by the Oregon Department of Agriculture. SB 931 – creates a notification and reporting program for pesticide applications on forest lands – The current Forest Practices Act notifications provide flexibility to time applications during ideal conditions and does not provide information that could promote harassment and vandalism. OFS will be opposing both of these bills.